Dine at our ground floor Bistro Lunch 12 noon until 3p.m. Dinner from 6p.m. until last order at 9p.m. 7 Days a week. 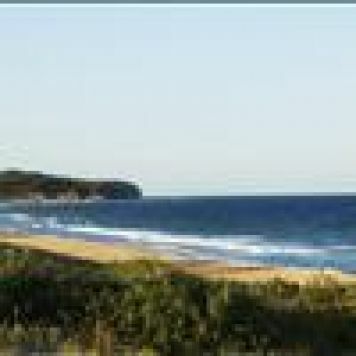 Experience the beaches of Narrabeen and surrounding areas, Narrabeen lake, sail Pittwater and bushwalk in Mt. Ku-ring-gai National Park. Visit galleries and museums or play golf on a variety of courses. There is also fishing, clubs, shopping, day spas, movie theatres, restaurants and cafes. Pre-Purchase/Pre-Pay in Advance to get this 20% Discounted rate. No Cancellations or Changes - We will not offer a refund/credit if you want to cancel or change booking for any reason. Pre-Purchase/Pre-Pay in Advance to get this 10% Discounted rate. No Cancellations or Changes - We will not offer a refund/credit if you want to cancel or change booking for any reason. Beach Views has 2 x queen beds and Single Sofa bed. All rooms have a balcony, tea/coffee , iron/ board, hairdryer, Foxtel, internet (charge ). Complimentary Parking . Maximum 4 Guests allowed Including Children. Rooms contain either 1 x king Split or 2 x King single beds and Single Sofa bed. All rooms have a balcony, tea/coffee, iron/ board, hairdryer, Foxtel, internet (charge ). Complimentary Parking . Maximum of 3 guests allowed Including Children. Includes Continental Breakfast for 2, Beach Views has 2 x queen beds and Single Sofa bed. All rooms have a balcony, tea/coffee , iron/ board, hairdryer, Foxtel, internet (charge ). Complimentary Parking . Maximum 4 Guests allowed Including Children. Includes Continental Breakfast for 2,Rooms contain either 1 x king Split or 2 x King single beds and Single Sofa bed. All rooms have a balcony, tea/coffee, iron/ board, hairdryer, Foxtel, internet (charge ). Complimentary Parking . Maximum of 3 guests allowed Including Children. Reception hours are 24 hours. Our Accommodation Reception entrance is located in Robertson Street. ROOM KEYS NEEDED for PARKING. Off street undercover parking* is available free of charge. Guests must check in first at Reception Office on Robertson St (opposite the fruit market) BEFORE parking underneath the hotel. Guest ROOM KEYS are REQUIRED in order to access the PRIVATE ACCOMMODATION ELEVATOR up from our designated accommodation parking area. Take Southern Cross Drive, onto the eastern distributor (toll). Through the Harbour Tunnel and take the Mosman/Manly exit. This is Military Rd which continues into Pittwater Rd. The hotel is on the corner of Robertson Street and Pittwater road. Taxi from airport is approximately $80.00. Routes 183-190. Some limited stop / express services will only stop at Narrabeen terminus which is approx 500 metres from the hotel.